I’d say Fate/Grand Order is my favourite mobile game, but to be fair it’s the only one I’ve ever been able to get into. I loved that I could summon the servants from the original Fate/Stay Night that left such a lasting impression on me more than a decade ago. 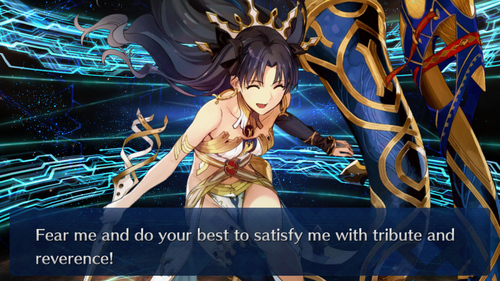 Mashu and Umu are my favourites, but I was secretly excited for the day the English version got Ishtar, the servant broadly based on Toosaka Rin. She was my favourite character from the series, and Unlimited Blade Works was a spectacular, fitting tribute to her story arc. 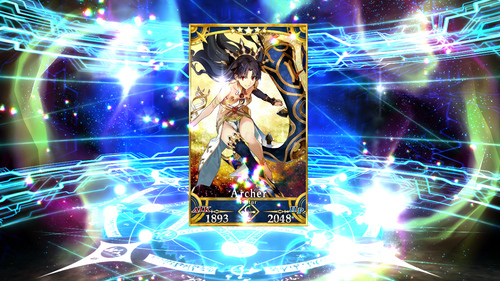 Ishtar was also a five star servant, so I figured the chances of rolling her were somewhere between nothing and zero. Still, I saved my saint quartz, and rolled twice without any expectations. In the words of Star Trek Voyager’s Tom Paris: no dreams, no disappointments! Fate was kind to me.